Sometimes it takes a fresh idea or a little encouragement to try something new. For Professor of Biological Sciences Betty Black, pushing the idea of technology and innovation has always been interesting, so it didn’t hurt when Dr. Bill Ditto, Dean of the College of Sciences, said that he would like to see “some kind of app that would trigger something on phones as students walked along the new Imagination Corridor.” This corridor stretches from David Clark Labs on the west to SAS Hall and borders with the College of Design on the east, and is part of where the once iconic Harrelson Hall stood. Black had recently completed a VR (virtual reality) project with the support of a Delta grant, and now the idea of developing something using AR (augmented-reality) was just as exciting—with the added opportunity of Ditto emphasizing he would help fund it. 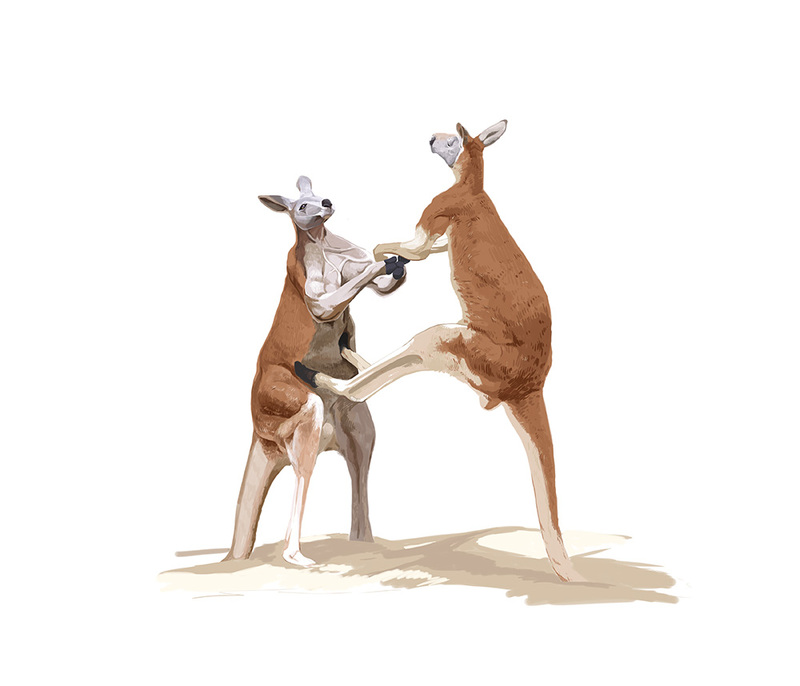 Working with the same College of Sciences colleagues from the earlier VR project (Miriam Ferzli, teaching associate professor, and Lisa Paciulli, lecturer), the team came up with the foundational idea of an Australian safari for the proposed app. They already had quite a bit of high-quality video content of animals in their natural habitat and supporting data that could be easily used, and it offered the student engagement Ditto requested, educational appeal, and a broad interest to a wide variety of audiences. 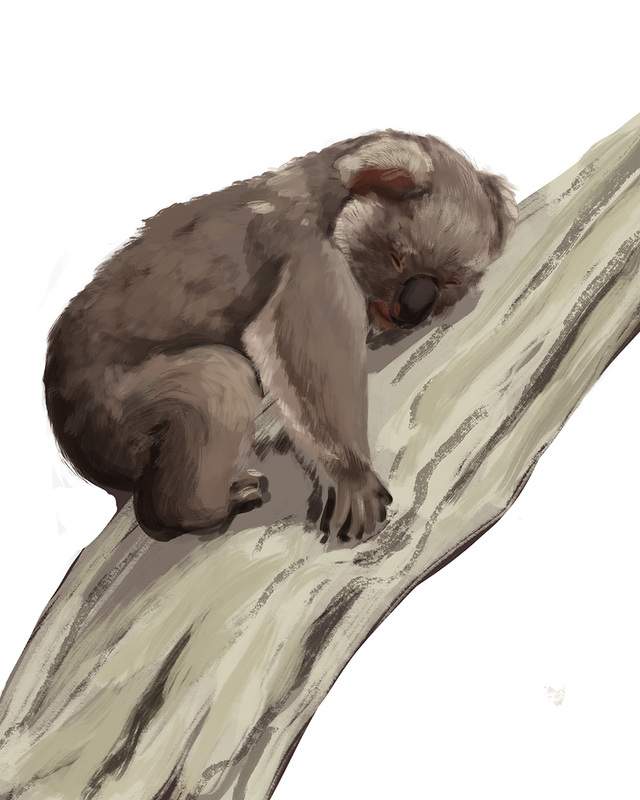 Black and her team devised much of the project’s preliminary details, including selecting the six primary Australian animals to be featured (koala, kookaburra, lungfish, platypus, Tasmanian devil, and wallaby), along with secondary animals that could enhance the knowledge base and biological aspects of the information. They also pre-selected specific locations along the corridor to be the trigger points for each of the primary animals and additional needs that they wanted included in the app, such as hints for users to continue onto the next trigger location for the safari experience. “We had a good sense of what we wanted,” says Black. This included that the app be somewhat game-like. They just needed a partner to figure out the technology, pull together the various pieces, and implement into an engaging app. The initial roundtable discussion with Black’s team and Polyak was fruitful. The trendy Pokémon Go game app, which uses GPS technology and user’s phones, had some interesting points to start from, however, there were concerns with respect to user privacy. In addition, with the need for only six trigger locations, Polyak suggested beacons might be ideal. Beacons are small devices that transmit Bluetooth Low Energy (BLE) signals to mobile devices that have the corresponding apps installed. The signals have a variable radius, and once a user is within range of a beacon, it triggers a location-based action. The action is customized to whatever the app program decides. In this instance, each of the six beacons would trigger sounds and videos as part of the Australian safari. Black and her team provided an outline of what they wanted for each trigger. “The first effect would be the natural sound of the animal,” says Black. 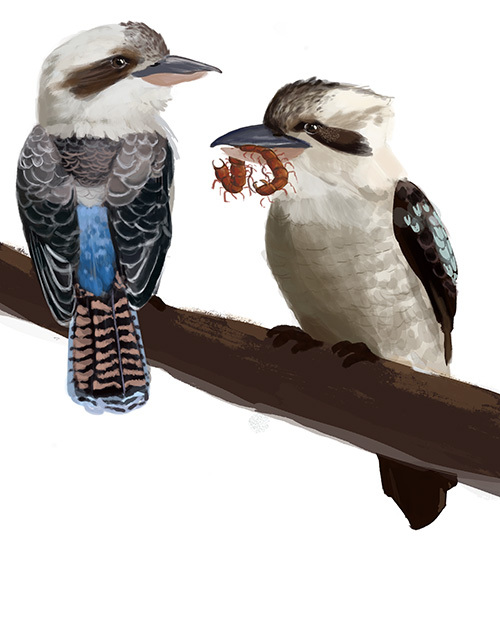 “The phone would respond, and then the video of the kookaburra pops up. We wanted additional video and content, so we left this to the design students to figure out what these ‘hints’ would be.” The brief of the project included the need for the app to deliver a safari experience that incorporated the feel of a scavenger hunt, the need for additional prompts, incorporation of video, voiceover, and additional content, and a congratulatory message for completing the safari. The students got to work quickly and allocated roles among themselves. “We structured our roles based on strengths,” states Connor Shipway [BAD ’17], who became the project manager and lead programmer of the project. 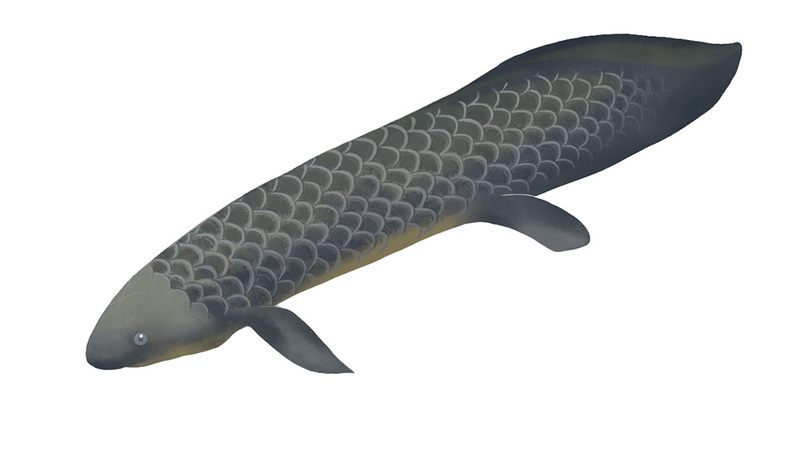 “Illustrators worked on developing accurate and informative illustrations for each of the six animals; an interface designer was responsible for making the visual elements, such as the buttons and icons; and I was the programmer who did the behind-the-scenes work with the iBeacons.” An additional component was sound and video post-production of the project (Lucas Gargano [BAD ’17]). Kontakt.io beacons were the final device selected by the students and Polyak. They are durable in outdoor environments, supporting both Apple’s iBeacon and Google’s Eddystone protocol they have a product life of up to three years, and are relatively inexpensive at around $25. Shipway adds, “The beacon is a very simple technology—not to say it’s not impressive; however, it’s rather easy to use.” He acknowledges that he learned some valuable lessons and useful skills during the project. In addition, the application of beacons is an emerging technology and can offer limitless possibilities. Shipway suggested using beacons at Talley to share information to students about the daily specials in the food court or the calorie count of items. In one instance, Smith, who was the illustrator for the Tasmanian devil, had another layer of complexity to overcome. Included in the content of the app is information about the outbreak of a facial tumor disease afflicting this species. It is an aggressive parasitic cancer that starts in the face and spreads to the entire body. Smith had to add the “somewhat horrific” depiction of the facial tumor. 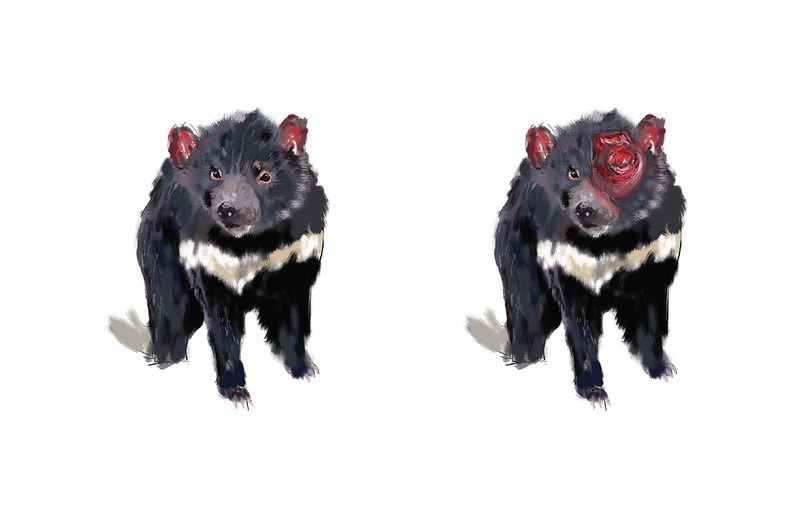 Black adds that having the illustration of the devil with the tumor was important to the project, as they did not have any video to support or show the impact of this disease on this species, and therefore narrative content and illustrations were needed. “This turned out better than we expected. I was impressed with the design students, and I would always go there first if I had something like this again. Emil was great, [as was] the students’ creativity and knowledge of the technology—I didn’t realize they could do the programming,” says Black. 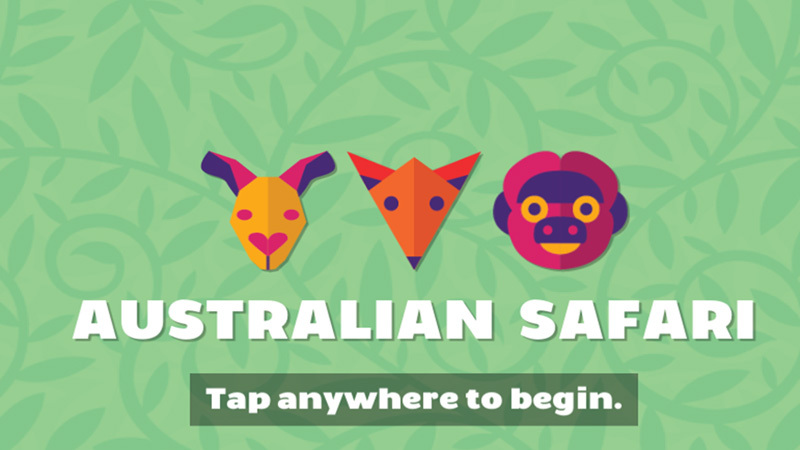 The Australian Safari app is now available for FREE download (Android) (iPhone) and can be enjoyed by anyone. It is viable for K-12 and beyond. The augmented-reality scavenger hunt takes users on a journey through the Imagination Corridor located on NC State’s campus to discover exciting Australian animals. The app must be fully downloaded prior to initiating the activity, but once it is installed, the mobile device will not need Wi-Fi or mobile data for the experience. In addition, once the user “unlocks” each of the trigger locations, they will have the ability to view all the video and content at any time. “The dean wanted a prototype, and we will likely use these beacons for other ideas,” says Black. She also hopes that it will be a motivating factor for students and others to learn more about the ecology and the animals themselves. 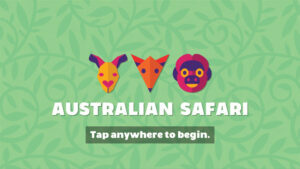 Australian Safari App from NC State – College of Design on Vimeo.